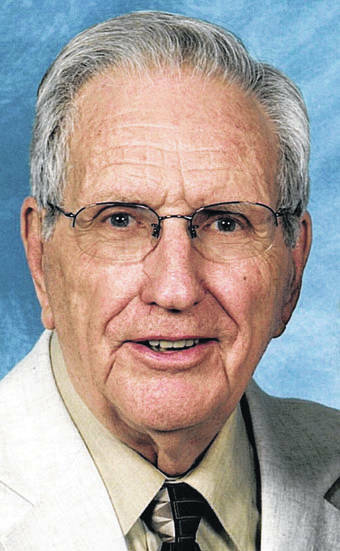 XENIA — He lived in Xenia back in the 1960s. But the legacy of the Rev. John Teeters lives on today. Without the vision of Teeters, pastor of Emmanuel Baptist Church from 1962-1971, Legacy Christian Academy may not exist as we know it today. That’s one of the many things being celebrated about Teeters, who died at his residence in Tiffin in February at age 96. He spent 30 years in ministry, making a stop in Fayette before coming to Xenia en route to Tiffin, his hometown. And it was here in Greene County where he made arguably his biggest impact. That vision started to become a reality in 1967 when Emmanuel Baptist completed the expansion of an education wing to the existing structure on South Detroit Street. Teeters wanted to see daily use of the building, not just on Sunday. Carla Packard, a teacher at what was then Cedarville College, agreed to help and launched the first preschool and kindergarten class as the principal in fall 1967. By the time Teeters resigned in 1971, the school had five grades and added a sixth the following year. He was also a leader outside the church, according to Dunstan. Teeters is survived by a daughter, two grandchildren, and a great-grandchild.